They happen, these sleepless nights, to women of my age and stage in life (by that I mean menopause). My mind wanders to The Change, that vague euphemism that would describe any kind of passage: adolescence, middle age, death. Passages, how dated must that book sound right about now? Here’s another, of the packaging persuasion: Kotex…Because. (Because you have your period, it goes without saying, so why hint at it at all?) 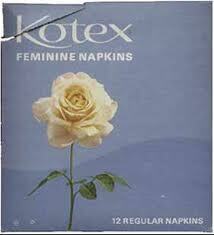 Let’s not even get into how they were once called “feminine napkins.” Why all this coyness, people? One kind of crazy-night-head is filled with a to-do list of tasks that are large and small but don’t differentiate themselves in that way: pack up computer charger — the work of just a moment — has the same heft as do something about the novel my agent declined to represent and learn Spanish. More common are the anxious nights when I think about Oliver’s health and my career and marriage and money and other massive topics that can’t really be “done.” Especially not while lying in bed in the dark. Like so many women of my age (defensive much, Diane? ), I have tried medications to remedy my poor sleep quality as my doctor, now my ex-doctor, put it. My first few months on Ambien were miraculous: one pill infused me with the deliciously druggy heaviness of a cup of Theraflu, my prior sleep aid of choice. Better still, Ambien kept me under until Steve stirred in the bed next to me at dawn. A revelation! A night passed without effort on my part! But Ambien’s effects faded after awhile, just as my ex-doctor said they would. So it was on to the next, an older— this adjective was from him and it struck me as odd — antidepressant that worked less well on moods but better as a sedative, knocking me out cold and leaving my mind pleasantly blank, at least at first. 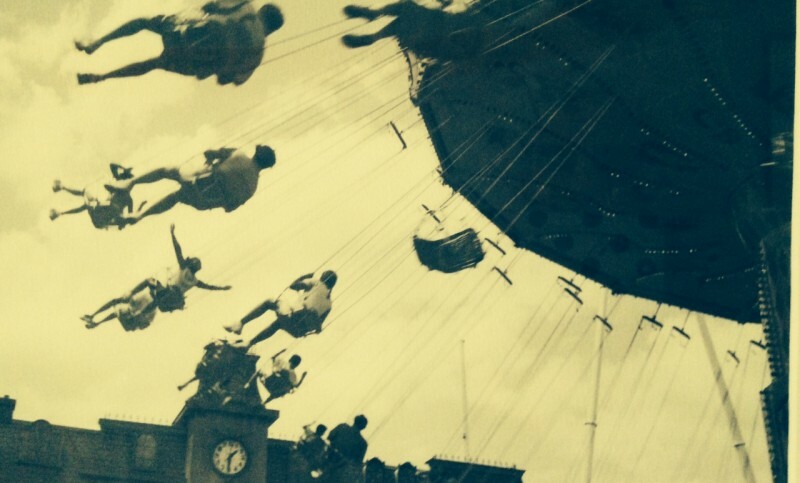 It was June, I think, and day after day the weather was pleasantly mild and the sky was a pleasant, untroubled blue and my mind was pleasantly empty and unruffable. The kind of mind that might call menopause The Change and might enjoy the book Passages. I think I stopped taking sleeping medications round about the time I broke up with my doctor, which had to do with a fight I had on the phone about scheduling a mammogram. (No, it was for another reason, but I won’t go into that now.) I also never liked the guy. I didn’t like that he was a guy (not his fault) and I didn’t like that after treating Oliver for ADD, without success, he couldn’t recall who Oliver was a couple of years later. Oliver called this doctor Pazer (his actual last name) and then Paze and then Pazedog and then CrimePaze. Oliver now has an endocrinologist — which is attached to why I worry about his health — whose real name is Dr. Pons, whom Oliver calls Ponzi Scheme. He calls random people randos (many kids do this) and also Marlon Randos. Oliver renames his world to suit his skewed and sardonic take on it. Me, I just lie awake and worry about it. And him. why is it when marketers want to express refinement, the models gaze into the middle distance, as if siting some distant object or goal that only they, refined beings, can see? The Chase Private Client campaign has taken over the Metro North/Madison Avenue tunnels and I find it cloying and false. When there’s money to throw around, it’s hard to keep it simple (I imagine this to be so, anyway). So I admire the restraint — very British in itself —of the Great campaign. I first saw Culture is Great in the tunnel to trains off Madison Avenue and thought it was about as clever as Summer is Hot or Rain is Wet. But then the repetition of whatever it is one might like to do or see — Shopping, Nature — as Great struck me as just right. Just Great. I love the title of this HBO special.